Most of Myanmar's 1.1 million Rohingya Muslims live in apartheid-like conditions in Rakhine state in the west of the predominantly Buddhist country. Many in Myanmar consider them illegal immigrants even though they have lived in the area for generations. Few Rohingya are full citizens, but most hold temporary national identification cards known as white cards. They were able to vote in a 2008 referendum to approve Myanmar’s military-drafted constitution, as well as in elections in 2010. Parliament on Feb. 2 approved a referendum law that allows white card holders to take part in a future referendum on amendments to the constitution. Many say the constitution needs reform, because it reserves substantial power for the military and bars Nobel Laureate Aung San Suu Kyi from the presidency, among other contentious clauses. While members of ethnic minorities including those of Indian and Chinese descent also hold white cards, about two thirds are Rohingya, according to the government. The constitutional referendum has yet to be scheduled, but parliament's decision also strengthens the chances that white card holders will be able to cast ballots in general elections later this year. The prospect of the Rohingya being allowed to vote has alarmed nationalist monks and politicians who have threatened to hold mass protests next week to pressure parliament to reverse its decision. "No matter what the parliament has adopted concerning this issue, the ANP will continue fighting relentlessly until the white card holders are not allowed to vote," the Arakan National Party, an ethnic political party from Rakhine state, said in a statement. 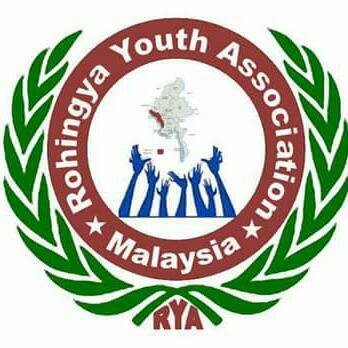 Tha Aye, a Rohingya political leader, accused protest organizers of attempting to create instability and disrupt democratic reforms. "They are comprised of racist politicians and ultranationalists," he said. Another group of parliamentarians is planning to file a complaint with Myanmar's constitutional tribunal, asking it to overturn the referendum law, said two MPs, who requested anonymity because of the sensitivity of the issue.